When it comes to funeral care it should not differ much from one provider to another. The main thing that will differ between the care that you you receive will be how the service is handled and the prices. There is a range of services which can be offered as part of a package. There are a lot of detail that needs to go into the arrangement for funerals. The first thing that you will need to do is to for the planner to speak to everyone that is involved in the planning for the deceased person. The people that need to be contacted could include the cemetery, hospital morgue and religious figures. 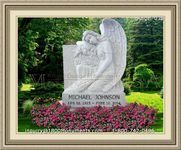 It is possible to have a chapel as part of the package however there is a lot of people that prefer to have their own chapel or that of the deceased person. Some people will choose to have a visiting room as part of the care package for funeral. Funeral planning home service tend to take place a couple of days before the actual funeral. In some cases it is not practical to do this due to family members not staying within the local area. Another service that is offered as part of the package is embalming and this is where the deceased body is preserved so that it can be placed into an open casket. This process means that the blood is replaced with dyes and chemicals. There is some mourners that like to have an open coffin so that they can have a final moment with the body of the deceased, as this can help to come to terms with what has happened. Another funeral care service that can be provided as part of care is cremation. Most directors will have a crematorium on site and if this is not the case the director will be partnered with a crematorium.